Twentieth Century Fox released a new trailer for Ridley Scott’s biblical epic Exodus: Gods and Kings, a re-telling of Moses’ quest to free and lead the Israelites out of Egypt. Christian Bale plays the prince turned prophet opposite Joel Edgerton’s Ramessess II. 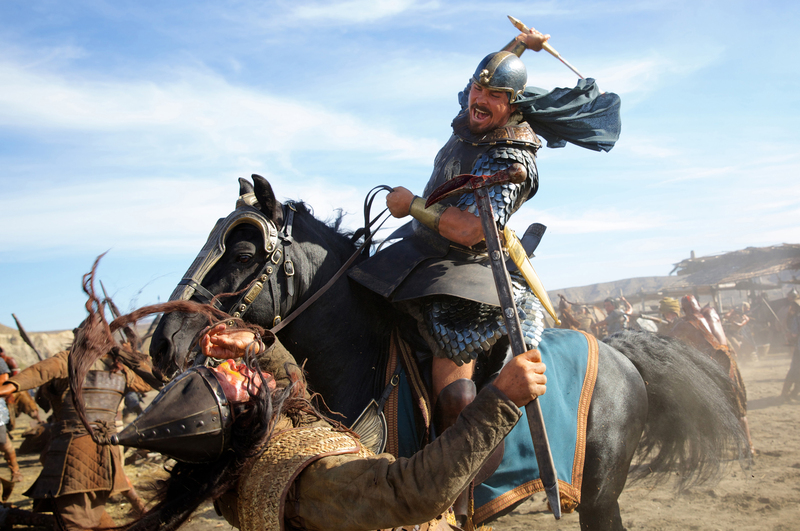 The trailer presents an epic adaptation of the Exodus story complete with sprawling battle scenes and visual effects. The sight of a giant crocodile attacking a boat, however, makes us worry this will be another attempt at turning a biblical tale into Clash of the Titans like Darren Aronofsky’s embarrassingly awful Noah. Exodus: Gods and Kings arrives Dec. 12.